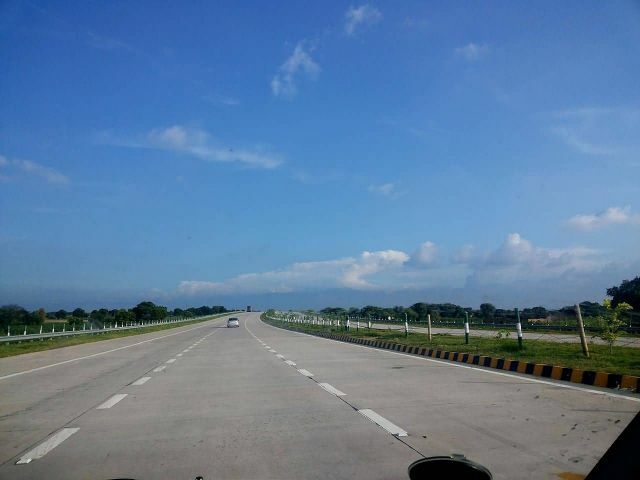 Yamuna Expressway is a 6-lane, 165 km long, controlled-access expressway and connecting Greater Noida with Agra in the Indian state of Uttar Pradesh. The total project cost was INR 128.39 billion. The expressway starts from Greater Noida and ends at Kuberpur on NH 2 towards Kanpur and Agra. The speed limit on the expressway is 100 km/h for vehicles. The right most lane on the expressway is reserved for overtaking only.